Mitsubishi, which might be the most baffling of established car companies, has been doing better as of late, Bloomberg reports. This is mostly thanks to its chief Carlos Ghosn, who, you’ll remember, is good at turning around companies, from Renault in the 1990s to Nissan in the 2000s. Now, Ghosn is leading a Mitsubishi alliance with those two companies, which he hopes will set the Japanese automaker back on a more stable path. In April, Mitsubishi Motors will further integrate with the alliance formed by Japan’s Nissan Motor Co. and France’s Renault SA by joining their shared parts-purchasing organization. Mitsubishi Motors also will coordinate more closely on business development and overseeing vehicle quality and customer satisfaction efforts as the three companies seek 10 billion euros ($12.2 billion) in synergies by 2022. Mitsubishi Motors shares have doubled from lows reached during a Japan fuel-economy testing scandal that threatened its existence two years ago. The recovery has been fueled by Ghosn coming to the rescue: He orchestrated Nissan’s purchase of a controlling stake in Mitsubishi Motors and has been taking small steps up until this point to integrate the company with the alliance between two bigger and more profitable carmakers. 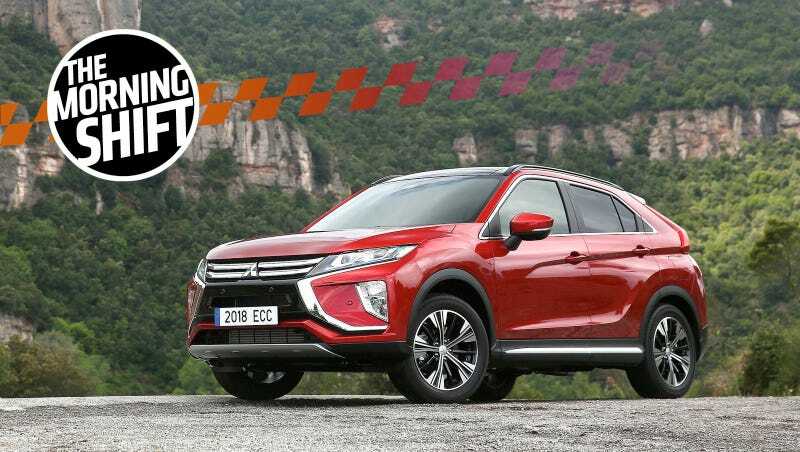 While it suffers from a somewhat lackluster lineup in North America, Mitsubishi is a huge deal in Asia and other markets, though it’s still reeling from tiredeflategate. Good news! If you’re a fan of French automobiles you probably can’t buy if you’re an America. They’re doing better these days, even after buying Opel, General Motors’ perpetually money-bleeding former European subsidiary. The CEO has pledged to apply the methods he used to revive Peugeot and Citroen following a 2014 bailout that brought in new investors — measures that included freeing pay and reducing the headcount. Europe’s third-largest automaker is negotiating with unions to cut jobs and reduce work hours at Opel to halt almost two decades of losses. “We have strong changes which are happening in Opel Vauxhall,” Chief Financial Officer Jean-Baptiste de Chatillon told journalists by phone. After reaching labor agreements across most of the former GM operations in Europe, “we are very confident” of achieving profitability and cash-flow goals for the unit by 2020. PSA shares rose as much as 6 percent to 19.73 euros, the highest intraday price since Nov. 9, and were trading up 4.9 percent as of 10:05 a.m. in Paris. The cost savings are important because the manufacturer, based in the Paris suburb of Rueil-Malmaison, sees little growth in the European car market this year. PSA become even more reliant on the region since acquiring Opel and Vauxhall, even as it continues to expand abroad. Group recurring operating income last year jumped 23 percent to a record 3.99 billion euros, beating the 3.44 billion-euro average of analyst estimates compiled by Bloomberg. The profit margin at Peugeot, Citroen and DS widened to 7.3 percent of revenue from 6 percent in 2016, “effectively the best result ever achieved by PSA,” de Chatillon said. It’s about jobs, a lot of which were created in the emissions-control tech space after the Obama administration implemented strict emissions standards that the Trump administration may now roll back. As Automotive News points out, this puts them at odds with automakers, who generally oppose higher emissions standards. Environmentalists are worried administration officials, working under instructions to reduce regulations on business, will scrap the EPA’s final determination and propose new rules that lower the standards or extend the deadline for compliance. I love gas and polluting the Earth as much as the next Jalopnik writer but I also dream of a day when they are gasoline-powered engines are like vinyl records, strictly for the hobbyistst. Climate change, etc. Jose Tomas, who joined GM in July 2017 after stints leading HR at health-benefits company Anthem Inc. and Burger King, “has elected to leave the company for personal reasons,” a GM spokesman said. In an email, Mr. Tomas called his time at GM “fulfilling” and said he plans to launch a new business venture. This is mainly due to falling demand, though the reasons for that falling demand aren’t exactly clear, even if the broader market has been cooling for a bit now after several months of gains. Forecasts from Cox Automotive and Edmunds call for sales to drop about 4 percent year over year from February 2017, to about 1.27 million vehicles. A forecast from LMC Automotive and J.D. Power projects a 2.1 percent decline, to 1.3 million. It would be the industry’s third decline in the past five months and 11th in the past 14. LMC/J.D. Power says that will result in a seasonally adjusted annual rate of sales of 17.1 million vehicles, while Edmunds forecasts a 16.8 million SAAR and Cox calls for a 16.7 million SAAR. All three figures are below last month’s rate of 17.18 million and the February 2017 rate of 17.46 million. Automakers will release February sales figures on Thursday. There are 24 selling days in February, the same as last year. Neutral: What Can Mitsu Do To Come Back? At least, here in America. How does it get competitive again?